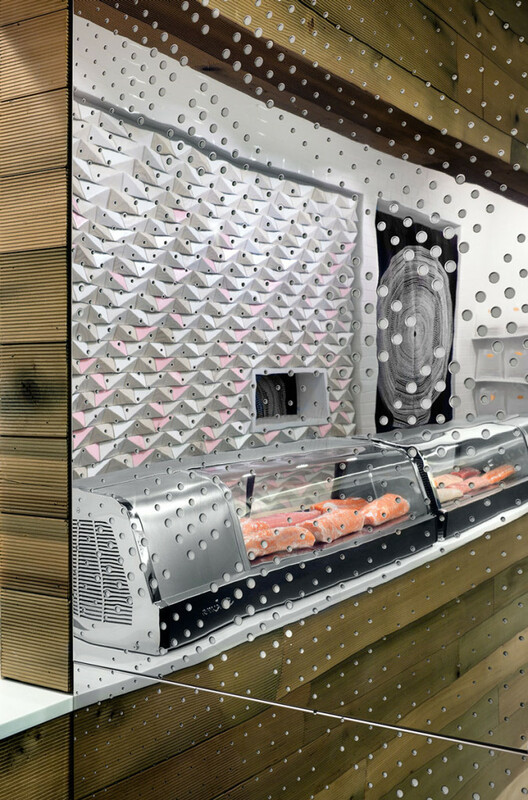 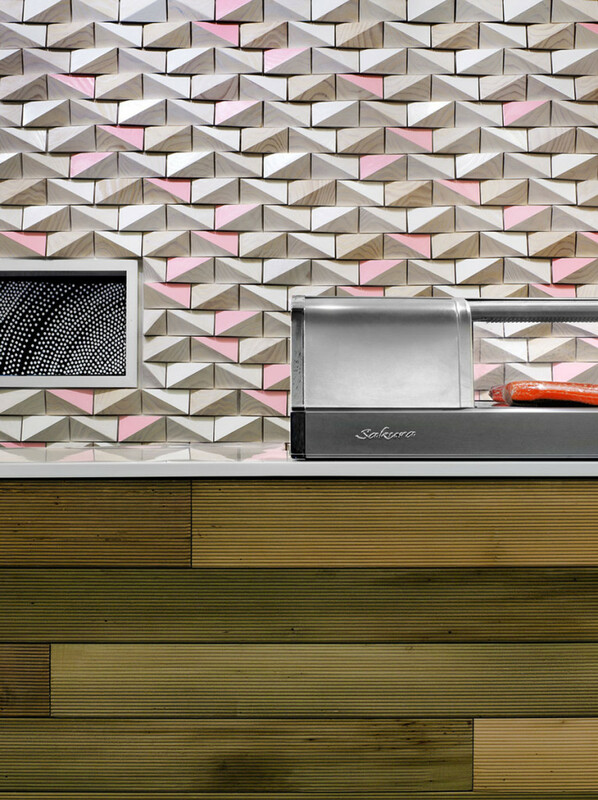 A high-tech, high-concept Sushi take-out restaurant located in the atrium at 601 Lexington Avenue. 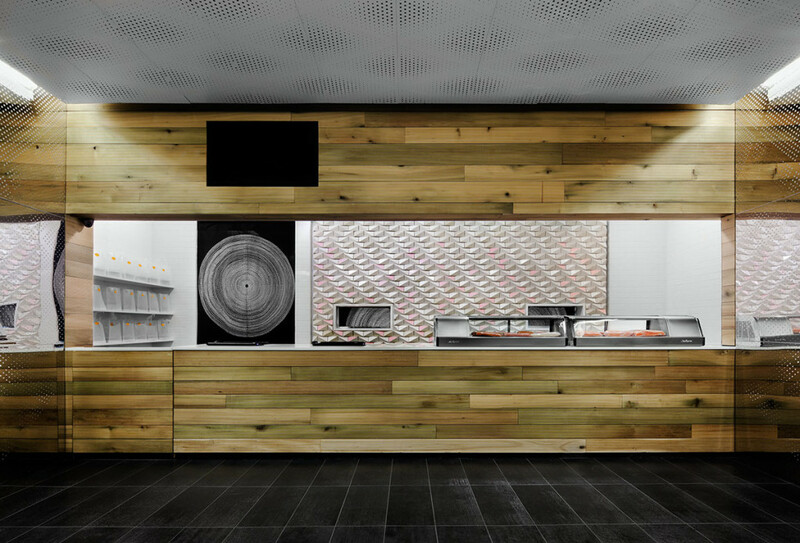 The design included a multi-colored motif, wood puzzle themed wall, textured mirrors, and a mixture of other intriguing finishes. 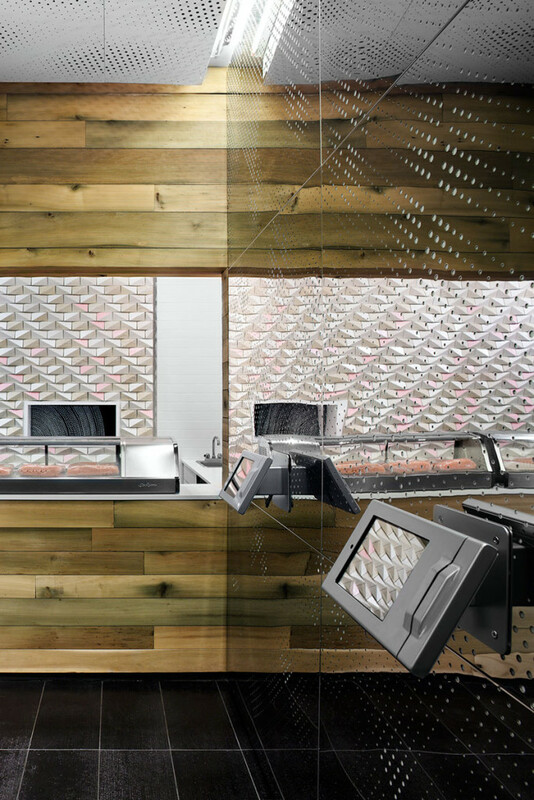 A dozen iPad stations throughout the restaurant allow the customers to place their orders electronically. 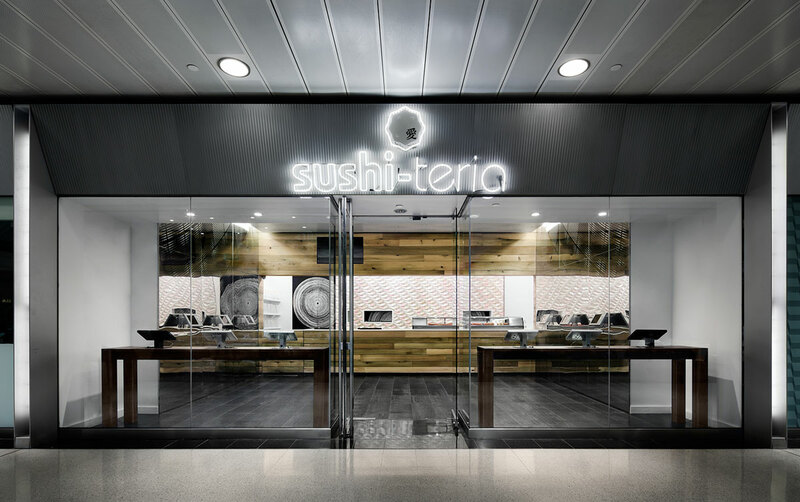 A high-tech, new concept Sushi take-out restaurant located in the building atrium. 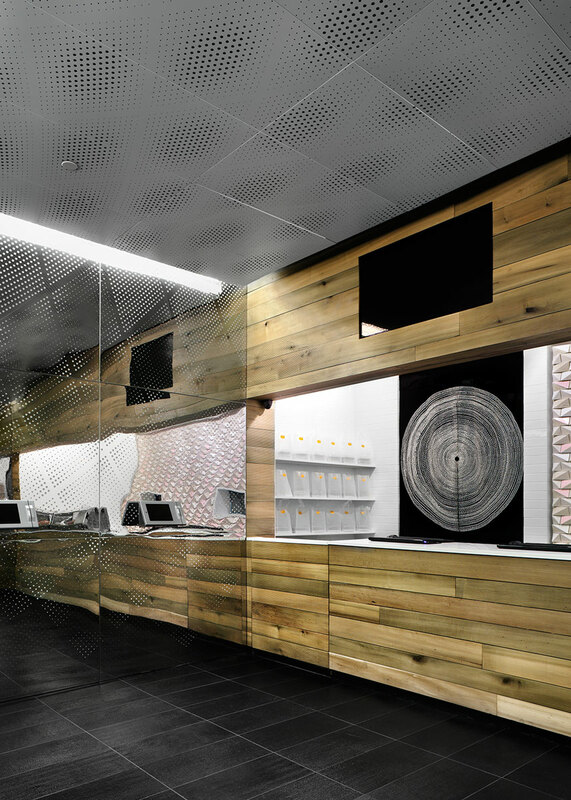 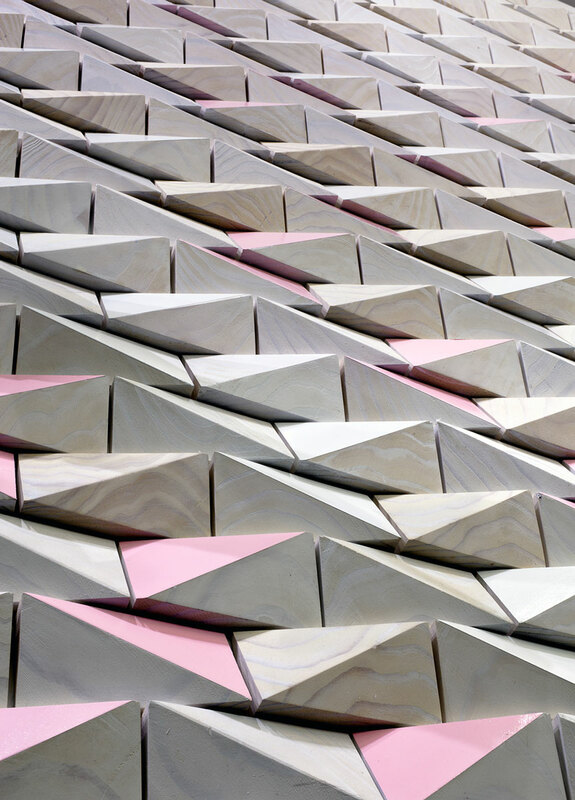 The design included a multi-color motif, wood puzzle themed wall, textured mirrors and high-quality finishes. Sushi-teria installed one dozen iPad stations throughout the restaurant for customers to place orders electronically.